We are a proud featured member in Tri-City News today! Below is the screenshot of the Spark Newsletter July Edition of Chamber of Commerce in Tri-City News. We are not only web designers, but also marketing specialists. We make sure your website represents your brand and appeals to your target clients. Here we thank Tri-City Chamber of Commerce for featuring us on the Spark Newsletter. 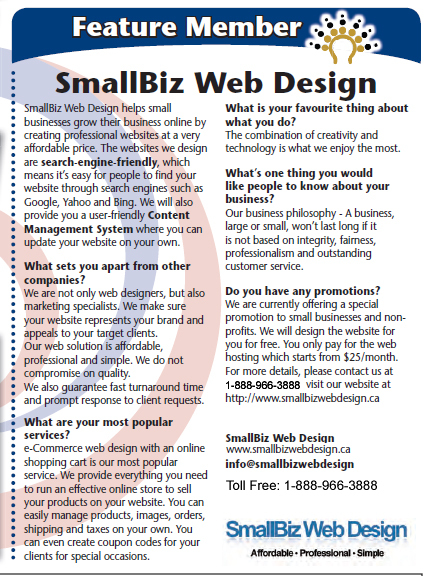 We love to help more small business develop their business online. Your professional online presence will be up and running within 2 weeks!